Currently, Python and R are the dominating data science tools and Python will probably even be taking the lead (at least based on the latest KDNuggets survey). When did the two open source players manage to become the leading platforms for analytics, data science, and machine learning, leaving behind established players such as Matlab or SAS? 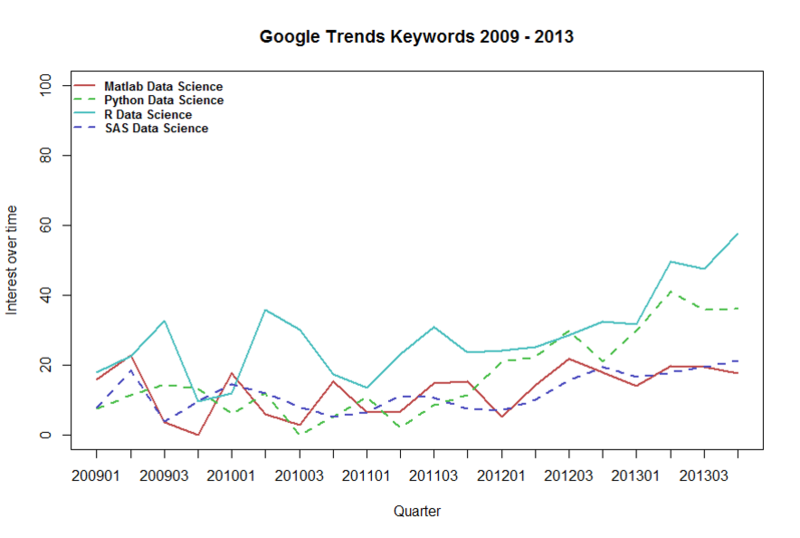 Here are some insights from Google Trends. Looking at the years 2009 - 2013 in the first plot, there is very little evidence for a clearly diverging path concerning the interest in Python or R compared to players such as Matlab or SAS. The picture dramatically starts changing in 2014. Figure 2 plots the development up to 2017. 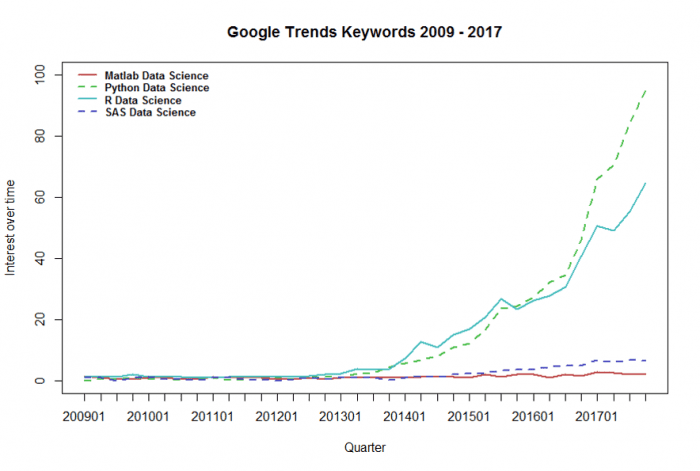 While Matlab and SAS saw a slight increase, the interest in R and Python exploded and came to grow exponentially. Python took over the lead in early 2017 and seems to grow at an even higher rate than R supporting the previously mentioned survey results. Google Trends can be easily accessed through the browser. If you want to import the data directly to R, the gtrendsR package is very helpful. For Python, PyTrends allows for automated downloading.